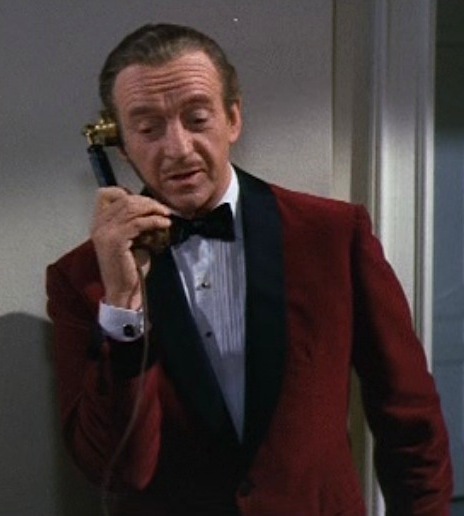 David Niven as Sir Charles Lytton in The Pink Panther (1963). No discussion of debonair actors would be complete without mention of David Niven, a gentleman in every sense of the word. Ian Fleming had long envisioned Niven taking the role of James Bond when 007 would finally receive a big screen adaptation only for Niven to appear in the 1967 screwball parody of Casino Royale. This entry was posted in Uncategorized by Sir Edward Percival Fox-Ingleby, Bt. Bookmark the permalink.